Our small, informal group of randonneurs, “Tidewater Rando,” had the privilege of hosting the inaugural Suffolk to Skippers 200km brevet on April 13th. Organizer Keith Sutton put on a great ride and route. If you’ve read about my equipment changes, then you know I’ve been anxious to see if my overall finishing time was going to improve on this ride, particularly with the use of “faster” tires. My 200km finishes so far in 2013 were done on new rain tires. My times for these rides were 12:38, 12:45 and 11:34. There were some bonus miles on the first two rides. But they still would have been 12+ hour efforts. The tire article I presented last month said a “fast tire” rolls up to 20% faster than a “slow tire.” That could knock a 12:30 ride down to 10-hours. Put differently, that had the potential to improve my average rolling speed from 13-mph to 16-mph. My local rides had improved by an estimated 20%. So I really had to know. I’m analytical that way! 🙂 I figured I’d be pleased to finish in less than 10 hours and be tickled if I finished in less than nine. Fifteen riders showed up to ride under what promised to be moderate temperatures and light winds on a flat course. Best of all, the light winds were to be predominantly at our backs on the return half of the out-n-back route. 🙂 The temps were around 50 degrees when we began. So I wore summer attire with arm warmers, knee warmers, an Under Armour base t-shirt and a Gore vest. The riders stayed together fairly well for the first five miles or so. Eventually, a faster group formed a break and one rider who I perceived to be an experienced randonneur (based on his bike and dynohub) fell behind to hold his own steady pace. I was feeling a little frisky. So I sped up in an attempt to catch the lead group and rode a faster pace for a while. I knew it was risky. But I was confident I would not bonk on this flat, relatively short course. I was pursuing at 19-21 mph and slowly closing the gap. My average speed was 18.1-mph during the first hour of the ride. Right as I felt they were within my grasp, maybe just 100-yards ahead, they suddenly picked up speed and left me in their dust. I was already tired from my effort to reel them in. So I offered no chase. Instead, I rode with a recumbent rider who was ahead of me and appeared to also be trying to catch them. Later, I learned one rider was trying to dash ahead for photographs. The rest perceived his sprint as a taunt and pursued. 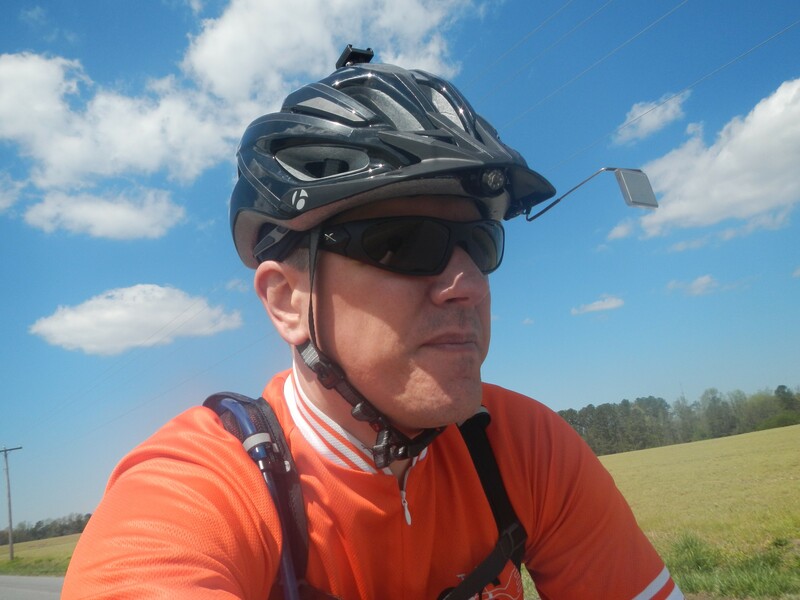 After taking the photo above, the photographer, two other recumbent riders and I rode together for a bit. Our first control point was at 40 miles. My rolling average was still 17.5-mph, as was my overall average since I hadn’t made any stops. I spent too much time at the control point due to poor planning. Most of the riders left without me. Those who left behind me eventually passed me while I was slightly off-course. I had been distracted by a mechanical issue and missed a turn by a tenth of a mile. I immediately turned around and resumed on course. I wasn’t concerned about the isolation. I’ve learned to be independent on these rides. But the lack of group riding slowed me down a tad. There was no catching them. So, I continued at my own pace. My mechanical issues were not worthy of ending the ride. But I stopped several times to check things. “Is this tight? What about this? Okay, I’ll try that… Crap! That didn’t fix it, either…” I believe my problem was the chain trying to skip. Ten-speed drivelines have almost no room for slop in the adjustments. It turns out the Connex chain I was using is 0.6mm wider than my Shimano chain. Things seem better with the Shimano chain. 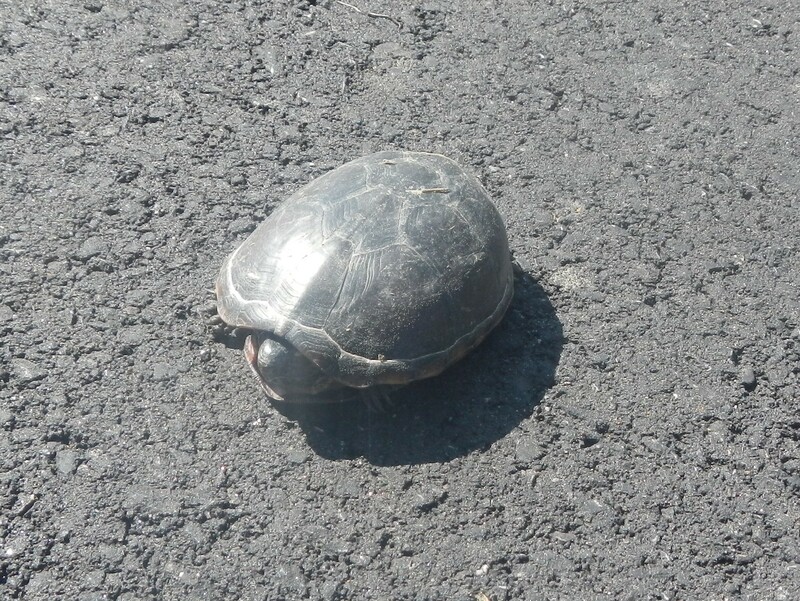 The photo above shows a turtle I “helped” cross the road. My average speed did drop as time passed. It was expected. I had overdone it early in the ride. That, combined with riding alone, meant that I was going to settle into a groove and roll with it. My rolling average was still 17-mph as I arrived at the second control point at 65 miles. My overall average was 15.5-mph due to my lengthy first control stop. I didn’t do better at this stop. I peeled off some clothing, applied sunscreen, and grabbed a PB&J lunch which was provided by fellow Tidewater Rando member Kim Aldridge. I also talked with her a few minutes. Okay… perhaps longer. 😉 My overall average dropped to 13.7-mph just by staying there so long. 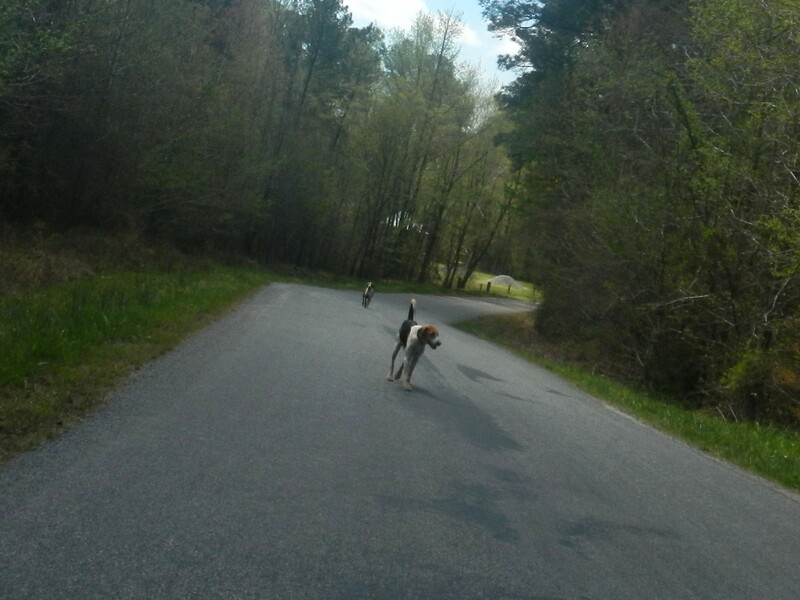 The photo above shows a couple of hunting dogs that were apparently wandering around while waiting to be found and picked up. We see this frequently in our area. I made decent time on the way back. The wind wasn’t totally at my back. But I could tell there was a benefit, especially when I was cruising at 19-21 on small stretches despite being tired. The last control stop was at the 90-mile mark. My stop was brief since there were no distractions other than a woman who asked me what I was doing, why I was doing it, and why the other riders had left me behind. I was glad to answer her questions. I like to present a good cyclist image to non-cyclists. Any smile, wave or polite conversation is sure to help them realize that we’re people just like them, especially when they encounter us while driving. But I still left as soon as I could. 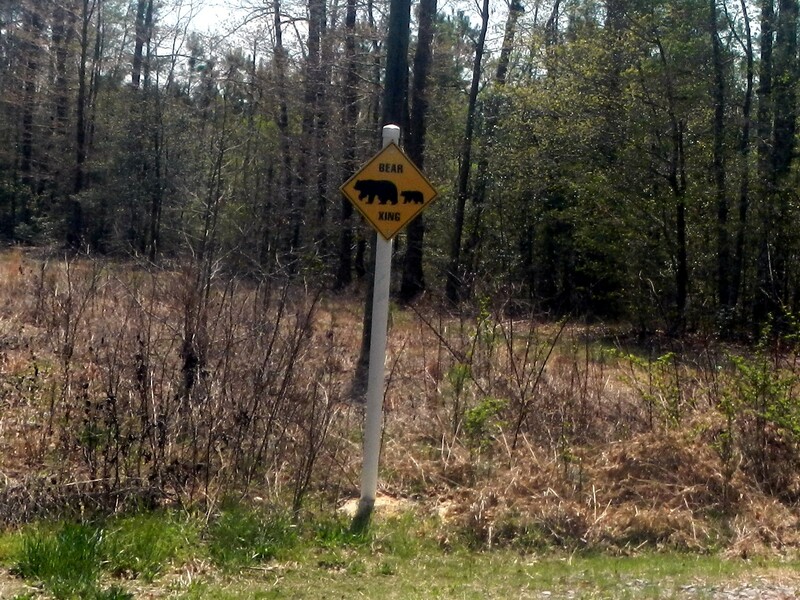 I spotted this “Bear Crossing” sign. I wasn’t interested in actually stopping for a better photo. 😉 My rolling average at 100-miles was a decent 16.5-mph. I made it a point to note my 100-mile time of 7:25 since I’m riding in the Tour de Cure this weekend and wanted to see how long I might take. My overall average was 13.5-mph, only a small decline from before the stop. I opted to skip a meal opportunity at 110-ish miles. I knew I had just 20 to go and would eat after the ride. I’ll likely stop there if the 300km ride goes past there next month and there’s more miles ahead. I arrived at the start/finish and was greeted by light snacks and a few riders. The last rider arrived about 20 minutes later. 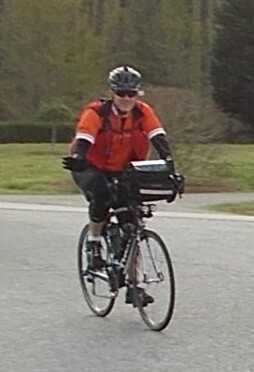 The end statistics of my ride: My rolling average was 16.0-mph and my overall average speed was 13.7, up from 13 and 10. I’m certainly pleased with the improvement and recognize that my finishing time will improve if I can speed things up during the rest stops. Regardless, I finished with plenty of time to spare. Next month is the 300km ride in the same location. I know the terrain. Hopefully, the wind will be as cooperative! This entry was posted in Brevets (200km+). Bookmark the permalink.